Main Benefit –Improved floor space and better selection and retrieval rate. 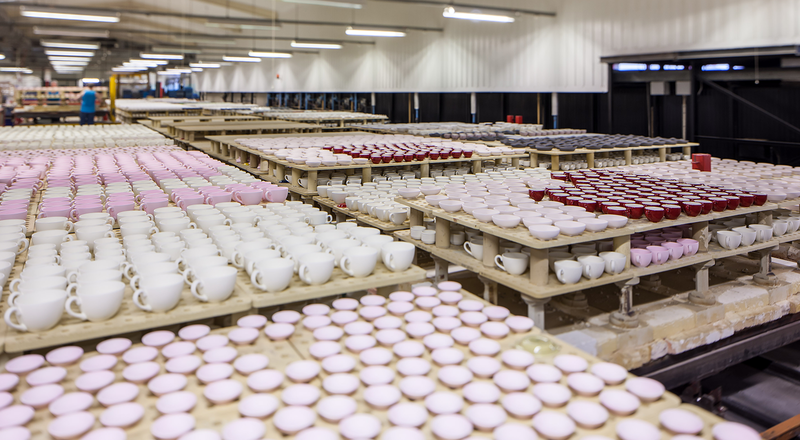 Steelite International is a world leader in the global hospitality industry. 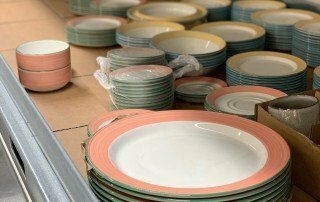 Steelite International manufacture award-winning table top ranges, working exclusively for professional caterers, producing over 500,000 pieces of tableware every week and shipping to over 140 countries. With humble beginnings in 1983, the company now employ over 1,000 people, and has been awarded a Queen’s award for Enterprise in the International Trade category. 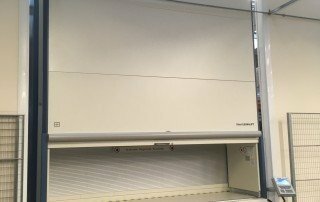 Their new Hänel Lean-Lift was implemented to store sample glassware, tableware and portfolio products. 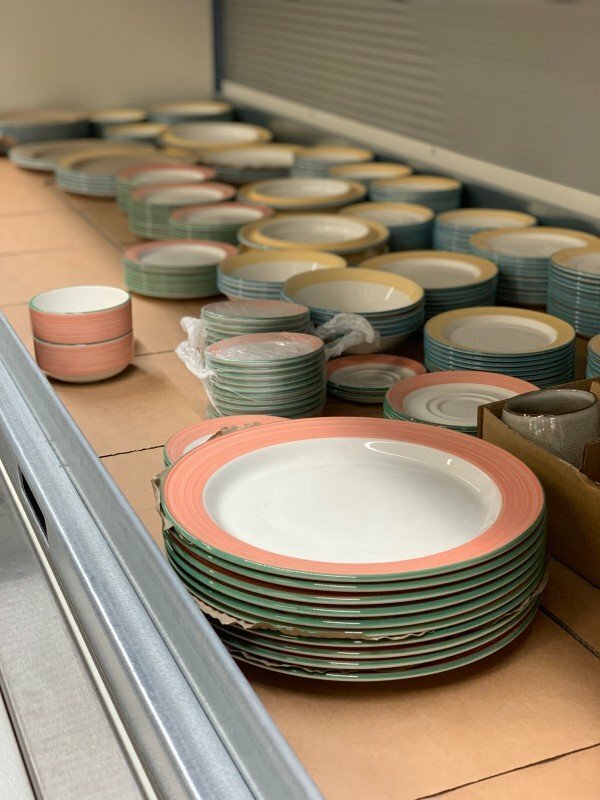 With record sales year on year, and with 120 pallets of finished products on average leaving the warehouse every day, Steelite International had lost focus on their storage systems. 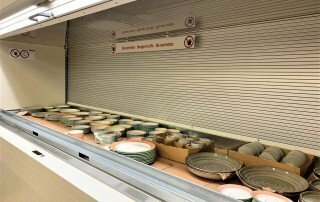 With racks of stock and boxes of storage building up, this was creating risks of damage to both employees and inventory. 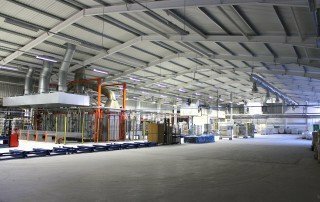 The main issues they were facing included trip hazards caused by their traditional picking process, which involved picking samples manually from pallet racking systems where VNA trucks operate, retrieving from high level storage racks using air craft steps. 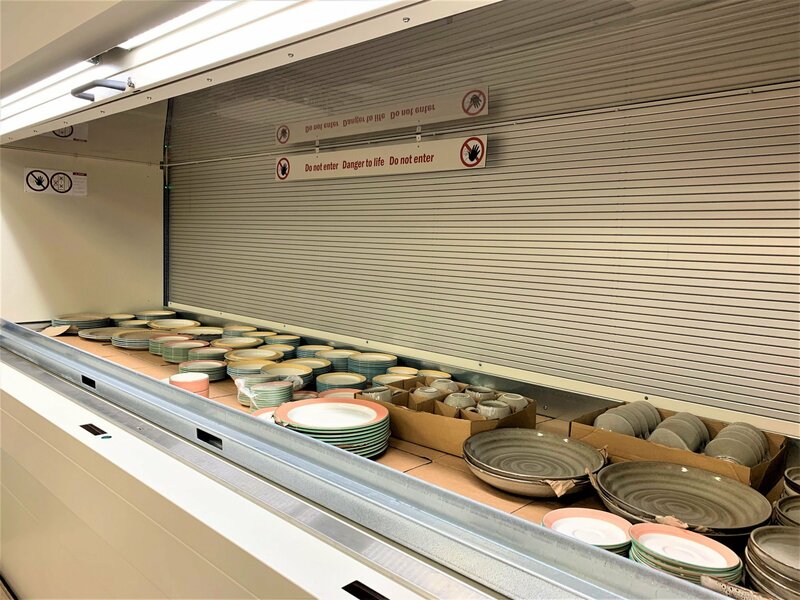 After extensive research into the different storage solutions available, the Steelite International team met our project managers at an exhibition and explored more modern automated systems. 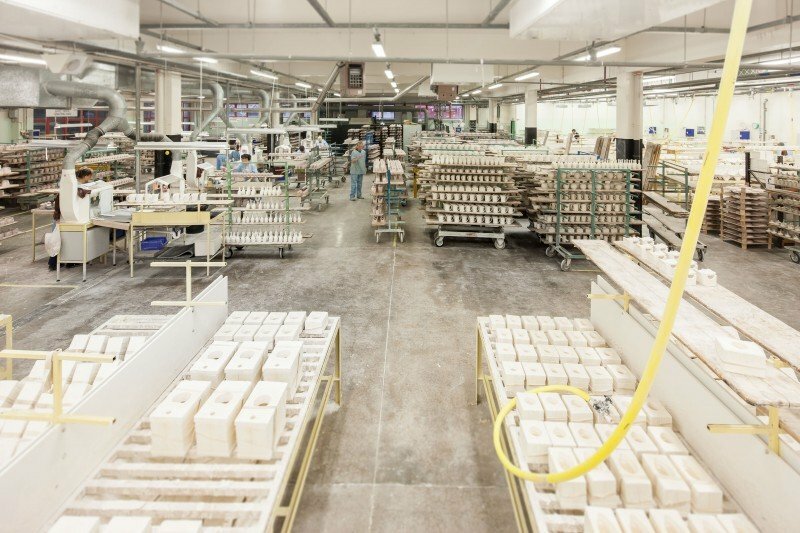 Steelite International planned a visit to our Cardiff Demo Centre to see exactly how Hänel technology works and the benefits it could provide to their processes. 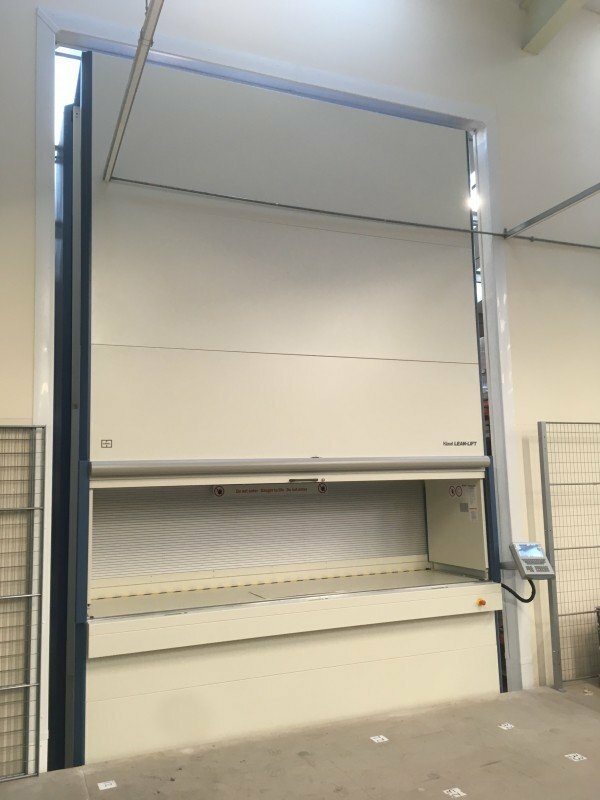 They decided the Hänel Lean-Lift was the best solution in terms of storing and easily retrieving sample glass and tableware from multiple floor levels, with access points at both ground floor and mezzanine level. A double access Lean-Lift installation has resulted in enhanced picking processes. 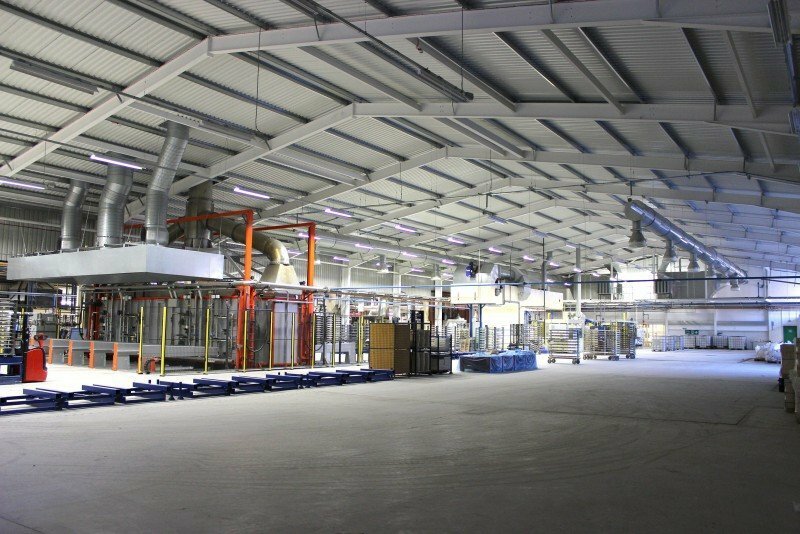 The new structure means their picking process has gone from ‘operator to products’ to ‘products to operator’, promoting excellence in safety in the workplace. 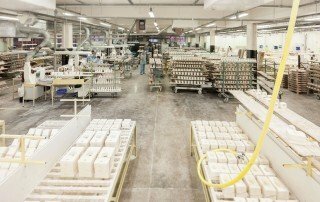 Hänel’s Vario Pick-o-Light technology allows for products to be quickly and efficiently identified and saves time once again when searching for smaller products that would otherwise take time to distinguish. This feature also significantly improves error rates, with the correct product being selected at all times. Working with Industore was a pleasant experience. The working relationship developed over time resulted in a relaxed projects implementation, where nothing was too much trouble.